The work of the Flower Guild is an incredible way to praise the Lord and enjoy fellowship with a talented and very special group of folks. 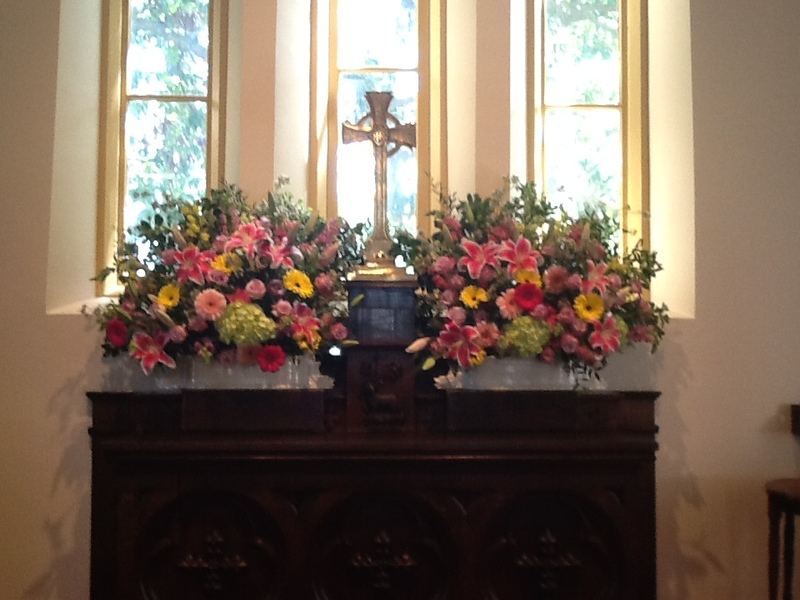 Each Sunday flower arrangements give beauty to our church and are a wonderful way to share your special gifts. 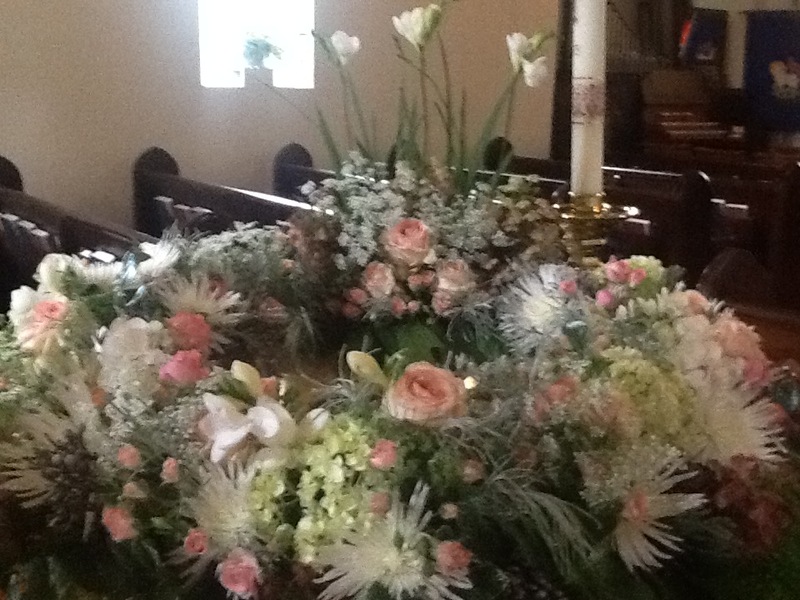 Each team is responsible for placing flower arrangements in the church six times a year. 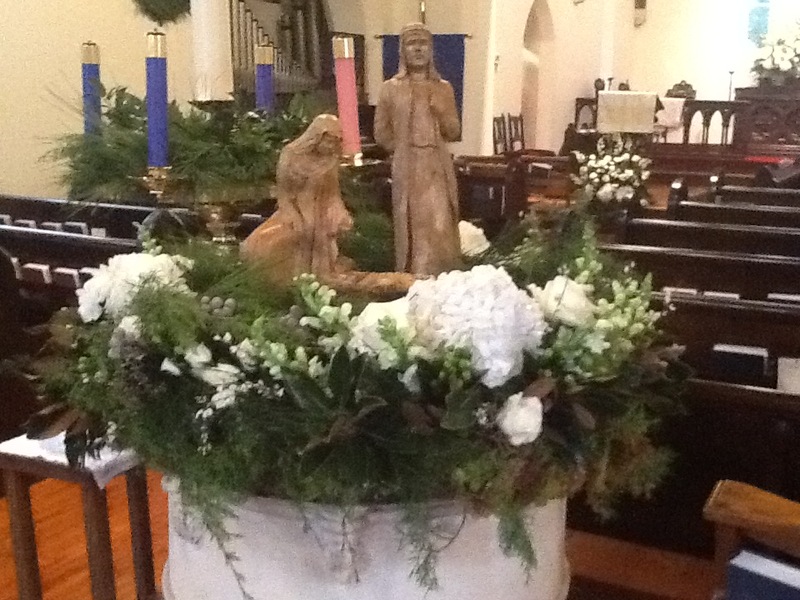 We all work together on Easter and Christmas to create a beautiful and spiritual environment. 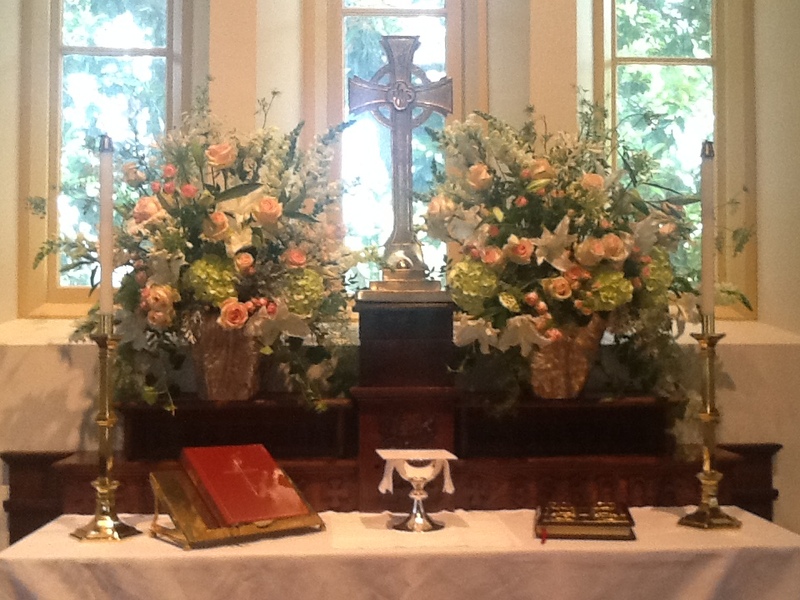 our guild also is responsible for flowers displayed in the church during weddings and funerals. We welcome you to join the Flower Guild. You are sure to learn a great deal about flower arranging, and make new church friends, or renew past church friendships. Please join us! The Flower Guild is made up of members of the church who are interested in arranging flowers for the enhancement of worship at the Chapel. Any interested person may join. Training is provided. Contact the Flower Guild Chairman for more information and placement on a team. 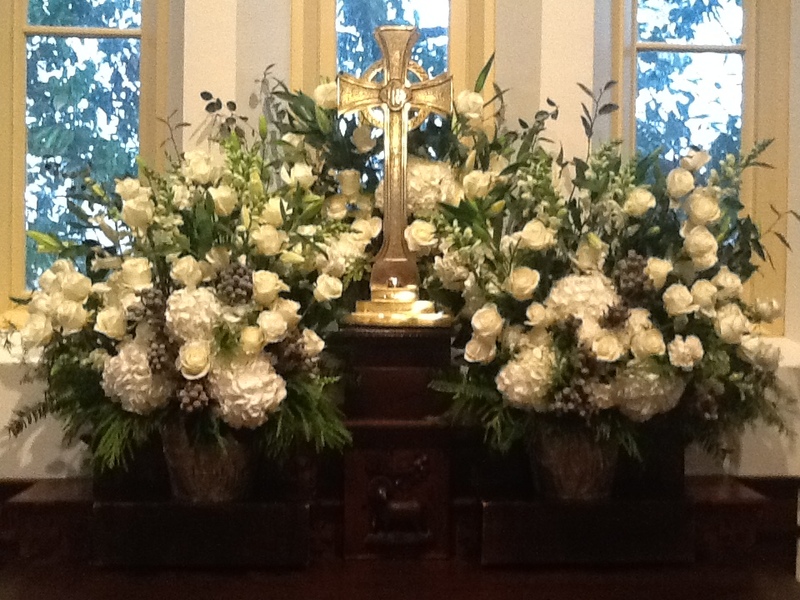 The Flower Guild does all flowers in the Chapel. Outside florists are not allowed. Flowers may be given for any Sunday as a gift of celebration, thanksgiving or memorial. 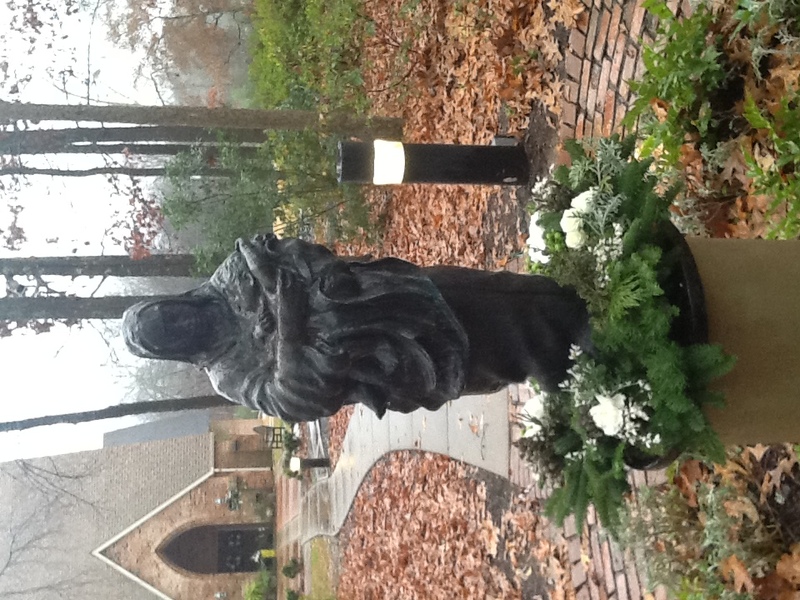 The suggested minimum donation for Sunday flowers is $60. Donations will be acknowledged in the service bulletin. An individual wishing to give flowers should do so by contacting the church office to schedule flowers at least two weeks in advance. 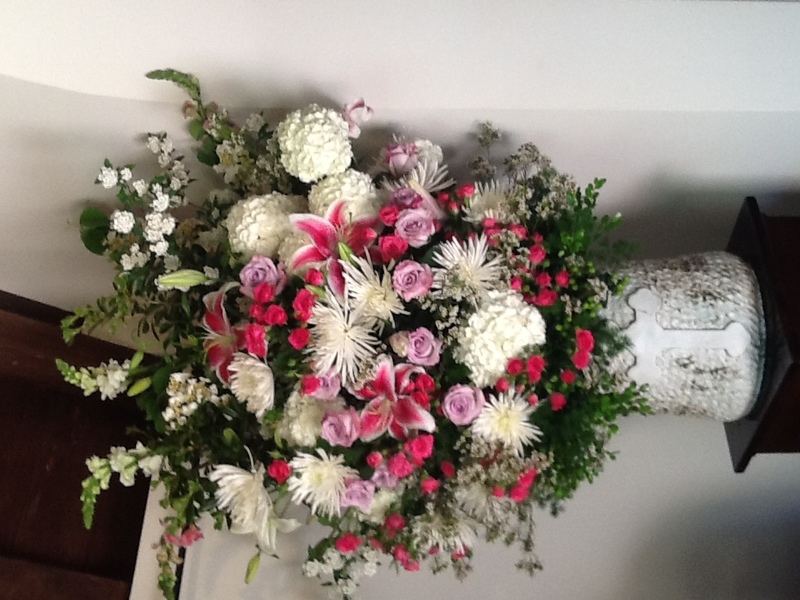 Flower gifts are also given for Christmas and Easter. See the Wedding Policy document for flower details and costs. 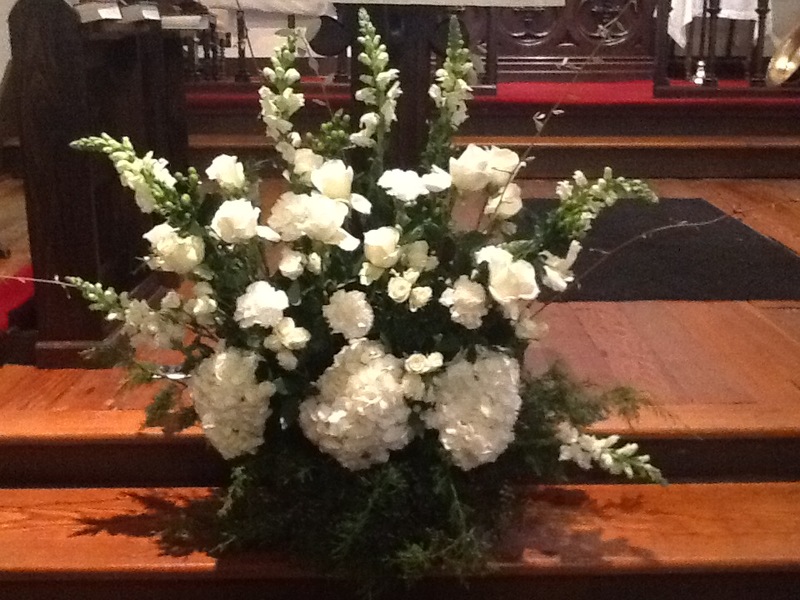 Option 1: Funeral flowers are traditionally white, but families may make special requests. The family pays the wholesale cost of the flowers. 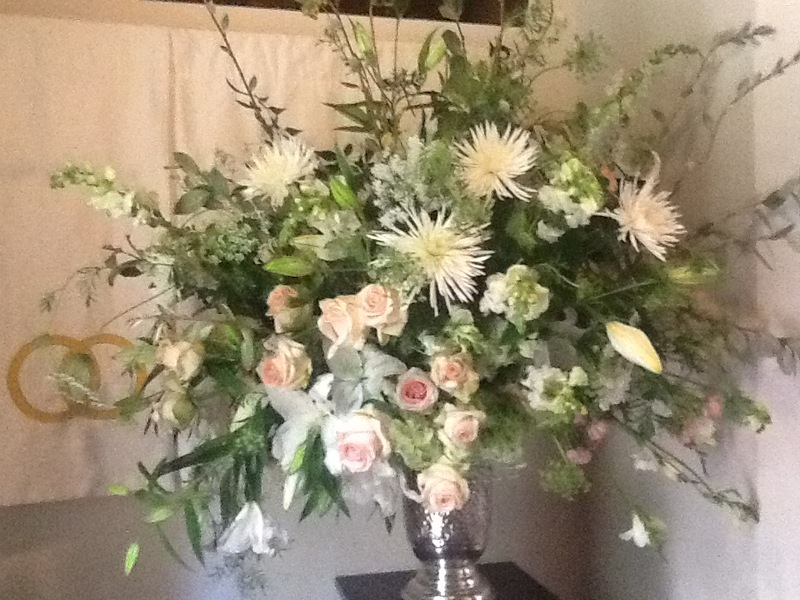 Option 2: If the family does not care to request special flowers, usual Sunday flowers will be used and the design and choice of flowers will be made by the Flower Guild. There is no charge if usual Sunday flowers are used.